Since hearing that first gobble on a cool spring morning decades ago, I have been passionate in my pursuit of the wild turkey. In 2011 this passion gave birth to a mission to create some of the highest performing, authentic sounding turkey mouth calls in the woods. Through trial and error I have carefully chosen reed combinations, cuts and tensions. Reeds are hand-stretched and measured with a gauge to insure the optimum tension for each call style is achieved. 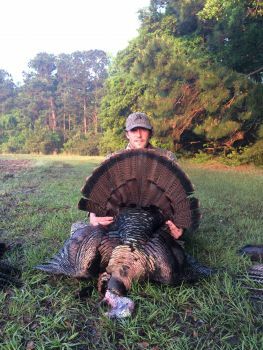 This method is used to construct calls that are added to the lineup only after meeting the highest standards set by me and a Pro Staff of experienced turkey hunters. The result is a call you can trust to provide excellent performance in the field. It's what I strive for and what you should expect. When you purchase a Strut Buster diaphragm call, you are holding a product that has been personally made by me, by hand, one call at a time and it is my hope that they will greatly contribute to your success in the turkey woods. Add them to your arsenal in your quest for those tough old toms and Answer the Call with confidence this spring with Strut Buster custom diaphragm calls!